Ever wonder why some companies choose more minimalistic designed office spaces? There are a few good reasons behind it, some even scientific. 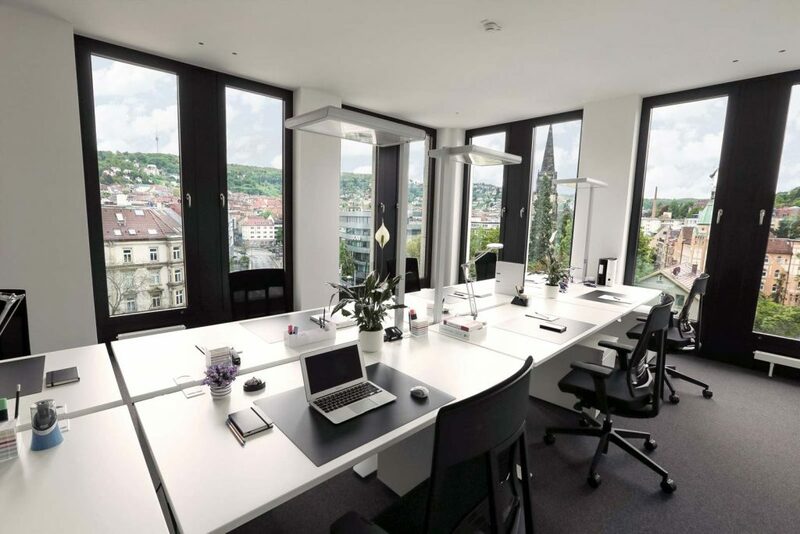 There are several interesting asticles like this one, which indicate that a minimalist office space design is better for your mental health. It allows you to focus, and not get easily distracted by strong designs, colors and objects. Our offices at WorkRepublic offer just that. With plenty of natural light, cool tones, and subtle modern design, it is easy to see why our clients are thriving when it comes to getting things done. It is also a key feature of our concept that our logo is not plastered all over the office, merely on the mein entrance merely to help visitors pinpoint our location. Otherwise we offer the possbility for our clients to place their logos at the main entrance to that their visitors know right away where to go. In addition to being better for work, as well giving clients the possibility to present their brands, the minimalist design of our offices allows for people to get creative and decorate their office with things which inspire them. Anything goes with clean white interior. Each work republic office comes with ergonomic furniture, and adjustable tables to suit the different work styles of individual clients. Conveniently under the desks are the lockable rollcontainers for safekeeping documents, tools and personal items. Inside each office there is a glass whiteboard, and sideboards for additional storage. WorkRepublic Offices offer a relaxed yet professional atmosphere. We facilitate an environment where small businesses can thrive and showcase their business. While we remain in the background, offering quality serviced offices, our clients can focus on reaching their highest potential. You can book a tour at your nearest WorkRepublic, click here to view our locations!